I made a special salad for Easter Holidays dining, I hope you guys like it. When I was growing up back in Czechoslovakia, besides their obvious meaning, Easter meant that after long and cold winter months we watched the nature to wake up and welcome spring with special Easter traditions and definitely traditional meals, which were shared among family, at dining with friends and lovely neighbors. The most common traditions of Easter I grew up with, involve coloring and decorating eggs, which represent new beginning, new life and fertility. While here we are hunting for the chocolate eggs hiding among the bushes in our backyards, in Slovakia on Easter Monday boys and men splash women with water or perfume and symbolically whip them with a whip (usually plaited out of the spring-soft long willow tree withies stems) to evoke health, youth, fertility, strength and beauty for the upcoming spring season. 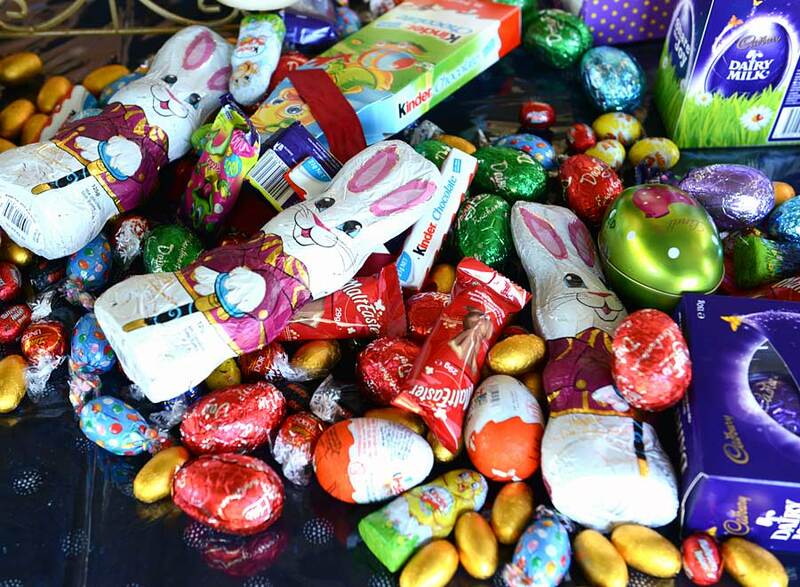 After this ritual the women reward men with those decorated eggs, sweets, fruit, food and even money. 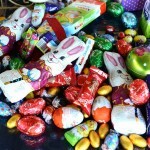 I was wondering where did the chocolate Easter bunny come from and appeared in nowadays Easter tradition. As a kid I used to have a modest, but real, rabbit farm that I run for years from an old building left behind by my grandparents. So if it’s about the fertility, by best of my logic perhaps the answer is: because rabbits reproduce well and fast. But lets face it, it is all about the food and cooking or baking in the centuries old traditional wood fired ovens, that is what brings us all together and what occupies our minds weeks before the Easter even comes. 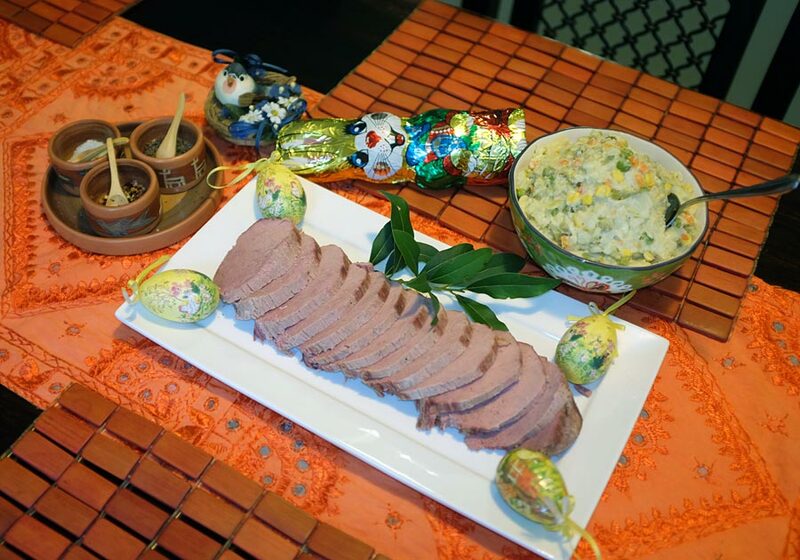 Traditional food underwent transformations and many families have their own traditional Easter food. 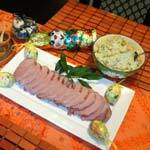 For us it was always corned beef with my mum’s potato salad, different types of cured meats with freshly made horseradish, fresh spring vegetables and of course fresh home made bread and sweets. 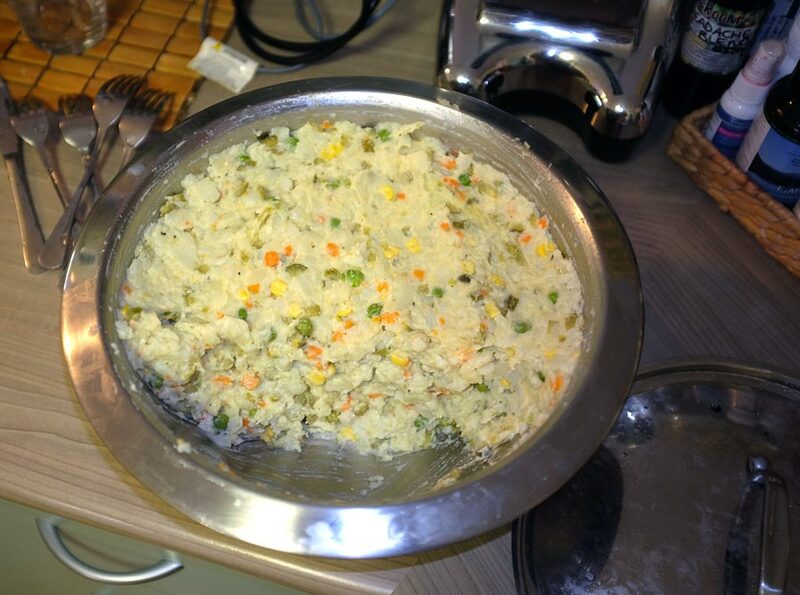 2 kg of potatoes (the best are waxy as they have less amount of starch, which allows them to keep their shape when cooked). I found that in Australia after years of trying the best variety are Desiree. 2-3 large onions finely diced. 1 cup of frozen corn kernels (if you don’t have these you can use corn kernels from can). 1 cup of frozen peas (peas from can is OK too, but using fresh frozen is so much better, for the taste and the texture). 4 medium size carrot- boiled and diced. 1 jar of sweet and sour gherkins ( you don’t need to use the whole jar, depending on the size of the gherkins I usually have about 3-4 gherkins left). 4 Tbsp of mayonnaise (usually whole egg one is used or even better if you make your own, but if you are vegetarian or vegan perfect substitute is sunflower mayonnaise). * If you are not a vegan; I also add 1-2 tablespoons of sour cream to make this salad to have a lot more smoother texture. This is so easy. Mix all the ingredients in the big bowl in the same order. Mix well by hand or with a large wooden spoon. Put in the fridge. We usually make ours day ahead as it tastes better when it sits in the fridge overnight. We make this salad ~2-3 times a year because we enjoy it. Serve cold with sliced corned beef or with cold/hot chicken schnitzels, boiled chicken eggs can be added onto the plate by all means. Similarly as you can see from our picture above. 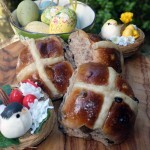 Easter hot cross buns baked in wood fired oven. Since we came to Australia, we cannot imagine Easter Holidays long weekend without having in abundance these little beauties/fabulous Easter hot cross buns. Whoever came up first with baking these from scratch, is a champion to me. Dome vs. half Barrel which oven design is better? Thermal insulation for having hot floor, walls & vault. Heat resistant mortar for joining firebricks. Concrete cladding layer over the firebrick hot face. Soapstone technical data and how to use it. Size of flue-vent or hood for proper functions. Alternative to firebricks - saving money on bricks. How to save budget and still build expensive! Fire-clay properties and what is fireclay. Oven building Plans details 1000's of oven builders & chefs use. 3G MTo the new oven design building. Firing oven how is the brick oven heated? Maintenance cleaning oven inside. FAST n' EASY. Good thermometer made from stainless steal and glass. Oven door made from a hardwood? When is oven hot? How to read temperature? Food nutrition database foods nutritional data. To link to Potato salad for Easter Holidays article, copy & paste the following code into your website. 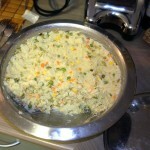 Information related to Potato salad for Easter Holidays.